Is your sweet tooth your frien-emy? Half friend, half enemy and the infamous leading cause of the love/hate relationship for chocolate, ice cream, and all things sweet by nature? If so, you will be happy to hear we have found a remedy to muzzle your sweet tooth (at least for the time being). Try today Trader Joe's Ginger Chews brought to you by the Ginger People. They are gingery sweet by nature and their chewy texture tires your jaw forcing you to be satisfied by just one (or two...). At only 20 calories per chew, why not try these? They generally are found at the checkout. We bet you won't not be addicted. Get nutrition facts for Trader Joe's Ginger Chews. Call my skinny, but did you know that ginger is great for an upset stomach? I tried candied dry Ginger, Man it was horrible! Bend,OR. to try these out! I hope they work! These little gems are the perfect "cure" for a queasy stomach. I travel a lot and have a very sensitive digestive system, so I keep some of these with me at all times. They have never let me down! A tiny bit spicy but that in no way diminishes the value they bring when my stomach is acting up! Thanks Trader Joe's! Please don't stop stocking these chews! I am also hooked.they are so satisfying, and delicious. Bought two bags today at Trader Joe's. Not only is my stomach calmed down but also an anxiety attack was neutralized. Amazing!! I am HOOKED! Planning to go to Trader Joe's Thursday. I go quarterly following my Diabetes checkup; it's pretty far from home. Great timing. Now I only have to wait 2 days to try these. Thanks for sharing. I got really hooked on them, so I have to order them and get them shipped to ole Siberia. what’s wrong with this different Ginger chews?? so i usually buy 5 to 8 bags of ginger chews and my latest purchase wasn’t the same as usual. apparently. they have changed the way they make these chews. they taste like flour textured gummy ish.. that doesnt even taste like ginger. i thought it was just that bag only, but to my surprise, all of them were like that. 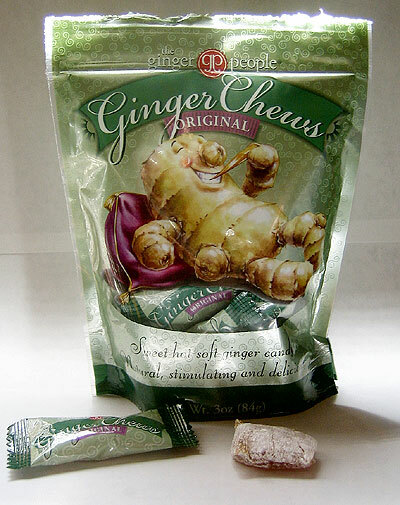 it feels like i could taste less than 10% of ginger content than the previous ginger chews. very disappointed . will not buy again. I just got mine in CA & they are very ginger-y. Love them!